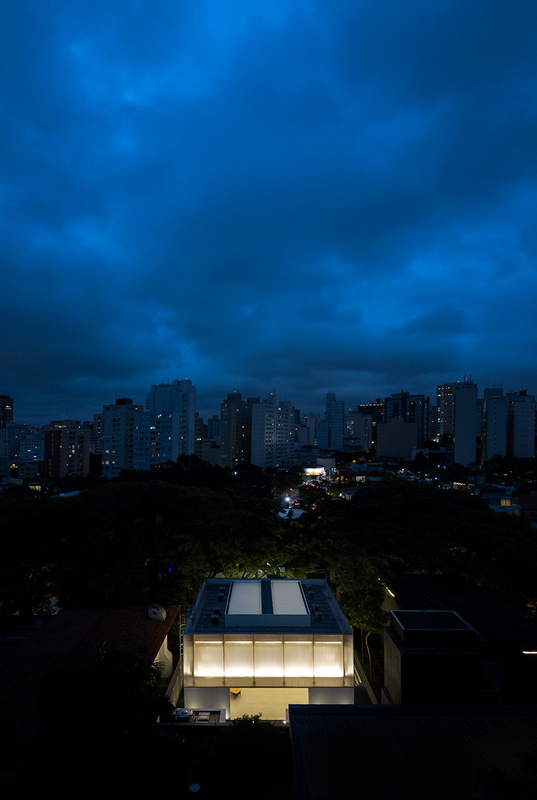 Studio MK27 created a modern designed pavilion for multi-purpose uses in the heart of the city of São Paulo, Brazil. The versatile space can be a retail space, an exhibition gallery, or even temporary housing for invited artists. The building measures only 49 x 49 feet but it’s high ceilings give it a much more expansive look, measuring about 25 feet in height. 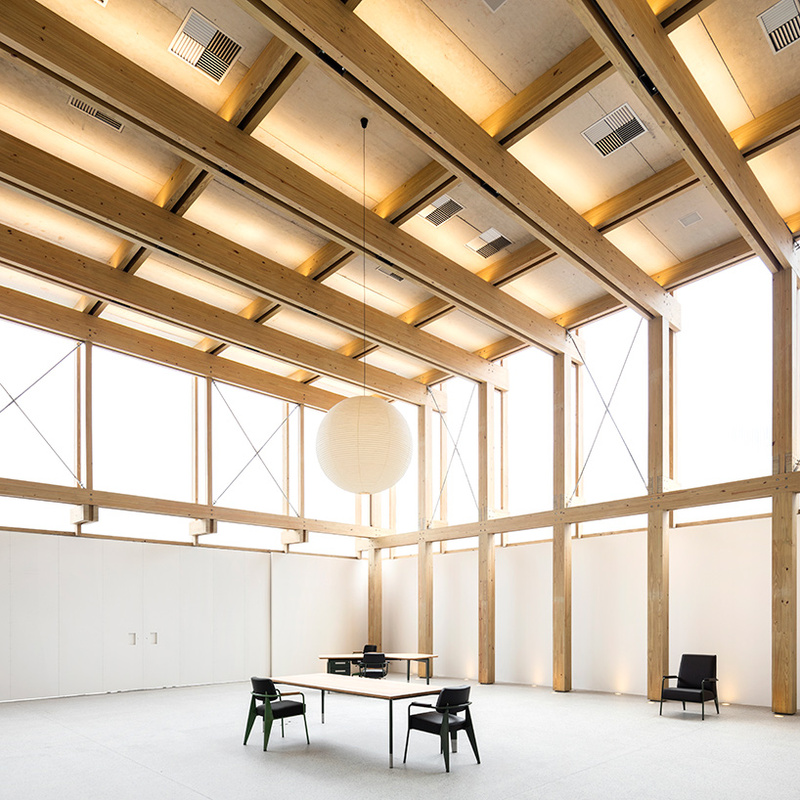 The pavilion was constructed using a timber structural system that allowed architects to build it quickly. Additionally, the wood construction isn’t hidden behind walls but exposed providing a contemporary and complementary style amongst the white walls. This gives it a less sterile look, as wooden oftentimes creates a warmer feel. 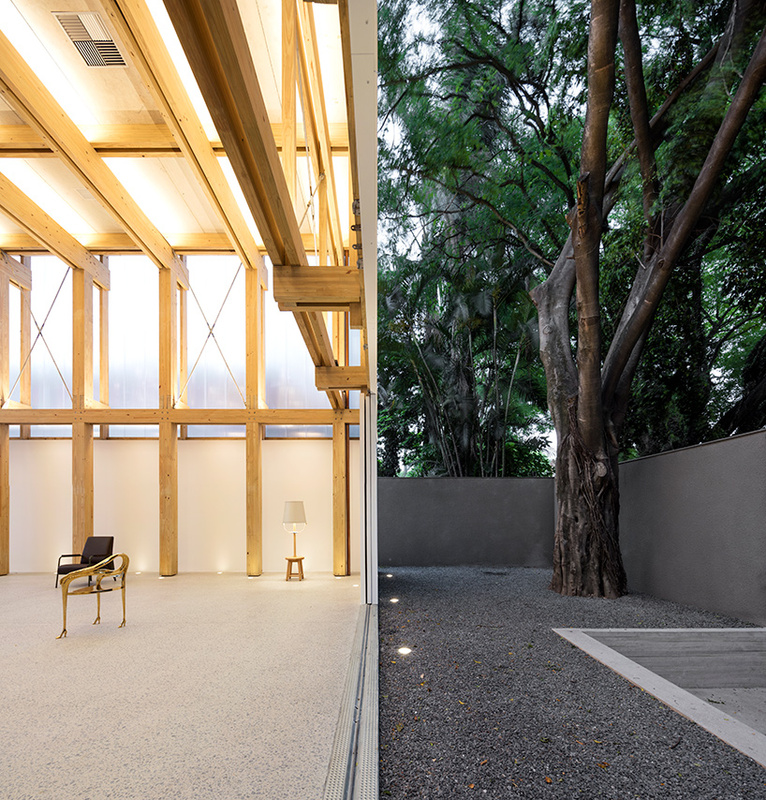 Led by Marcio Kogan and Marcio Tanaka of Studio MK27, they created a series of glulam frames with steel rods used for bracing the structure. “A substructure supports the skin of the building and creates a gap between the plane of the façade and the pillars,’ explain the architects. This was efficient for fast construction and a well-supported infrastructure. “This distance reinforces the reading of the rhythm and of the simple fittings of the wooden elements,” said Studio MK27. Similar to pop-up retail spaces, art galleries and environments for artists to collaborate, multi-purpose, permanent pavilions would be beneficial to the cities and communities they are built in.